Central PA Chapter ATD - Take Me Out to the Ball Game with ATD! Take Me Out to the Ball Game with ATD! Join us for a fun-filled night of baseball, good food and great company! 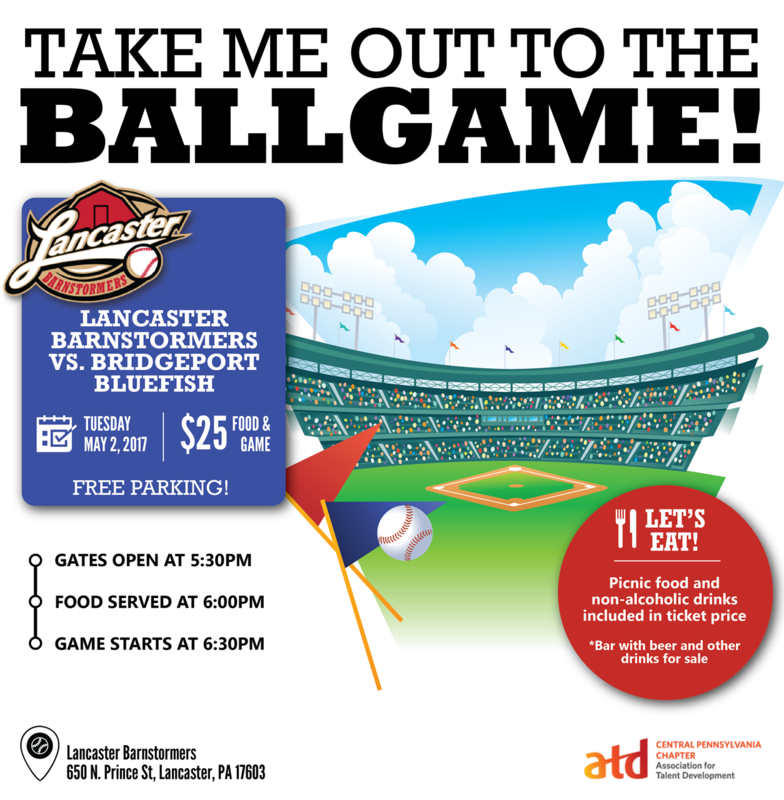 We will be cheering on the Lancaster Barnstormers as they take on the Bridgeport Bluefish. And we’ll be sitting in Hess’ Barbecue Picnic Pavilion and enjoying their mouthwatering BBQ chicken, sides, and desserts (see full menu below). Alcohol can be purchased on your own at the bar. A very good time is what this all means! At the ATD ball game! Bring your friends and family! ATD members can bring guests at a discounted rate of $5 at the gate!